The power of direct mail in this highly digitized world is only realized when the results are seen. Why bother to send a humble post card or brochure in the mail when you can reach out to a larger audience via digital media? Because it works! Studies show that physical communication is more effective than digital and has a greater impact. Tangible mail pieces containing an offer or discount are utilized far more often than digital coupons, thereby increasing your response rates. Having that pizza coupon on the fridge or free appetizer card in our wallet does double duty – you achieve subtle marketing because the name and address of the provider is always visible and the offer is tangible, you see it, therefore you use it. Essentially, you can use direct mailing service as a valuable marketing tool for boosting brand awareness and generating a response from potential customers which in turn helps in the overall success of your campaign. 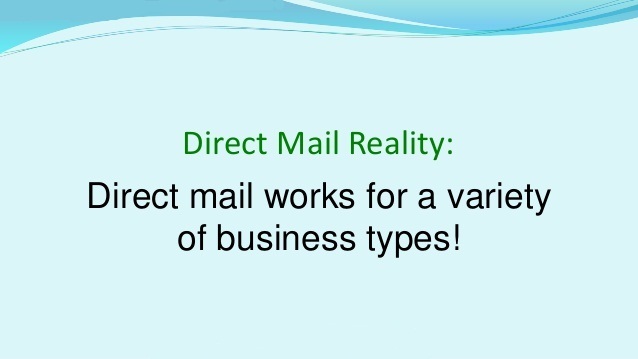 Needless to say, direct mailing is one of the oldest forms of marketing. There are however, plenty of ways that it embraces advanced technology and this in turn helps run more successful campaigns with greater possibilities of customers actually taking interest and replying. People simply love getting things for free. This could be a great way to get your product out there. A direct mail campaign with a free sample of your product (if that’s feasible) is a sure way to attract the initial crowd that could popularize your product. Make sure that you don’t just send something in a regular business envelope. Use high impact printed envelopes or innovative packaging to make it look attractive, authentic and appealing. One of the most important aspects of any marketing campaign is the content that goes with it. The reality is that you need to put enough thought into copywriting the campaign. There is nothing more powerful than the words used to run your campaign. Investing in a skilled copywriter could give the right boost to your campaign right from the beginning. 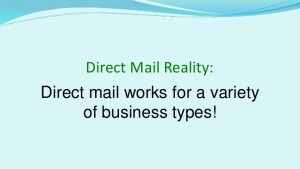 Another hard reality is that you are not the only one who might send a direct mail to a potential customer. So, the competition is high! If you do not take the effort to stand out from the crowd, it’s quite possible that your mail is lost among a hundred others who send similar mailings to their customers. Overall, the best marketing departments ensure that they include diversity in their marketing campaigns. They do not just follow one single path, but ensure that along with the digital path, there is enough room for the tried and tested traditional means of marketing such as direct mail. Integrating different methods and running a wholesome campaign can ensure greater response rates and better results overall.